Now that we’re in my favorite season, and I’m not talking fall, I’m talking f-o-o-t-b-a-l-l-we have a crowd to feed every single week, since it’s always happenin’ in muh hizzouze. 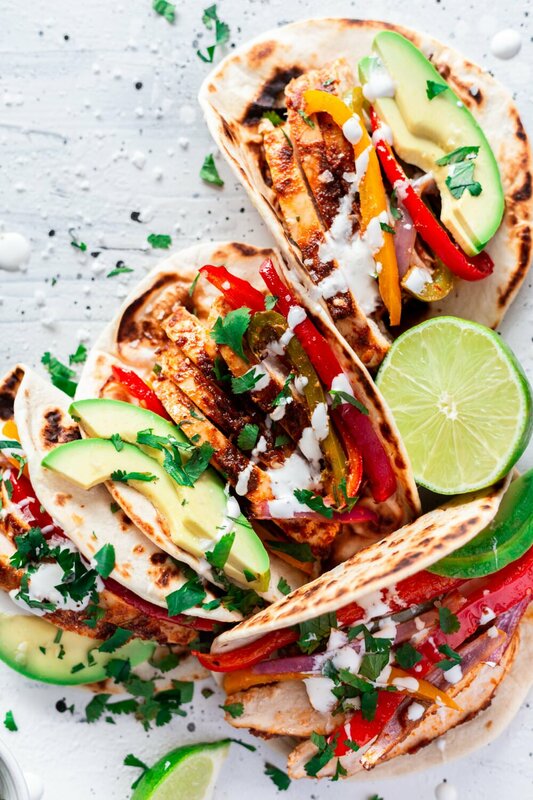 In the spirit of homegating, whipping up easy recipes that are quick, but also delicious, is mandatory. Who has time to slave in the kitchen and risk missing an important play?! Ready to shop for delicious Pace® products? Hover over the photo to click through to Walmart.com and purchase them! Enter 24oz. 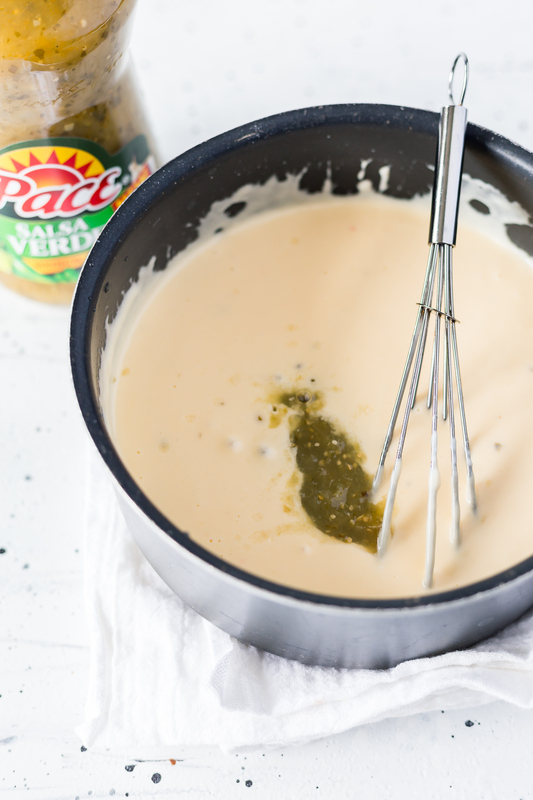 Pace® Salsa Verde, my new favorite pantry staple! I’ve always kept a bottle of 24 oz. 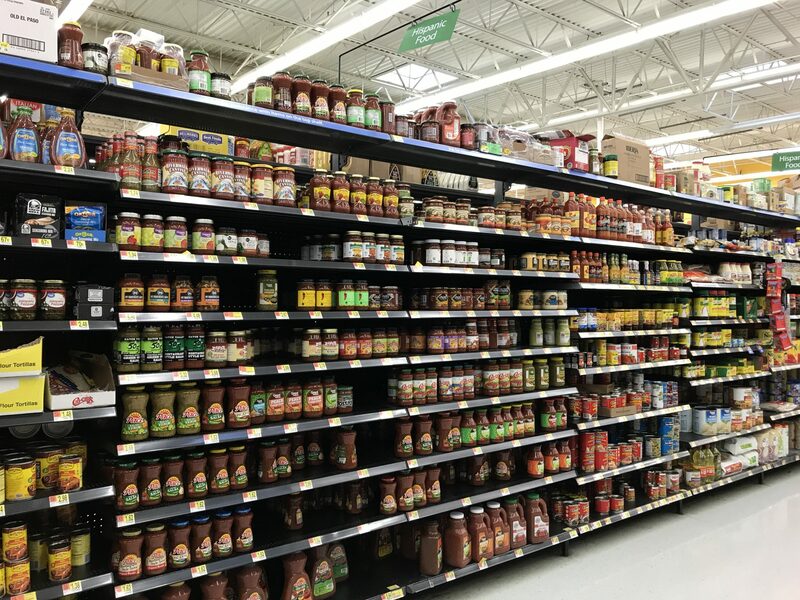 Pace® Picante Sauce in my pantry, but oh how excited was I when I went to grab a bottle and discovered they now have Salsa Verde! 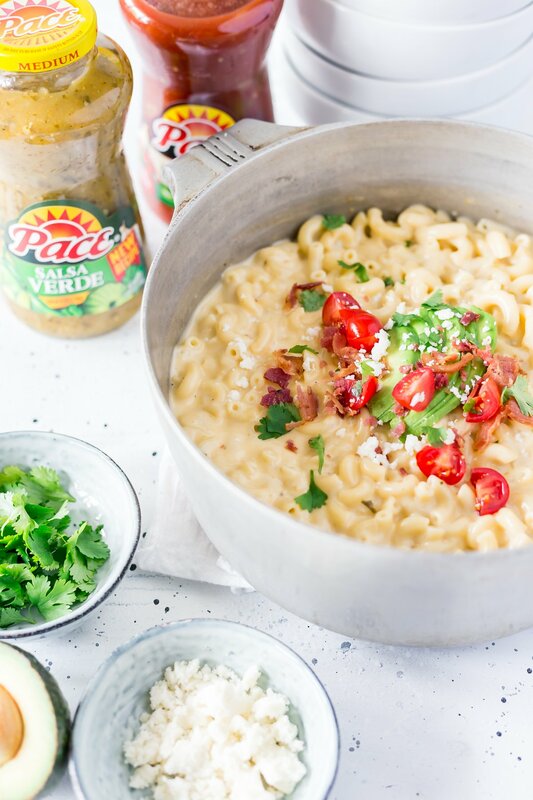 We ban the bland in this house, so I added some Pace® Salsa Verde to my trusty mac and cheese standby and wow does the flavor deliver. It’s a flavor touchdown, har har har. Pace® has a flavor that never disappoints, which is why I always have a bottle on hand. It’s hard to beat over 70 years of consistency, am I right? 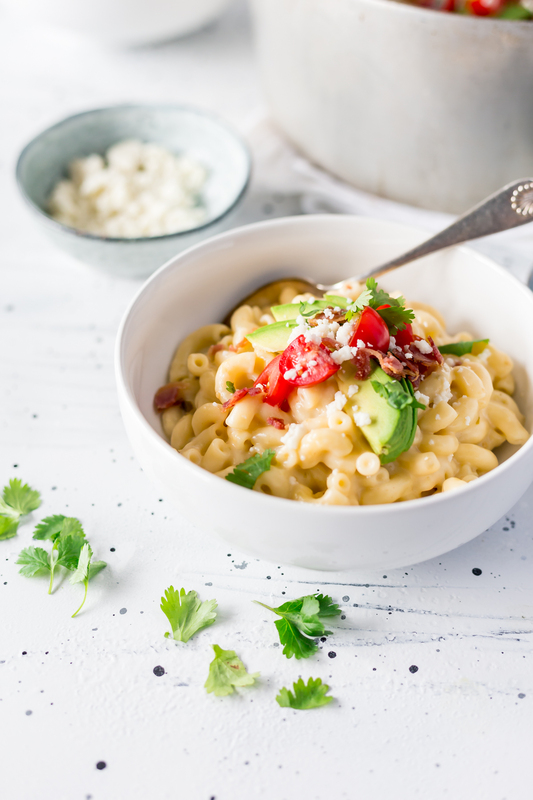 To really bring out the southwestern flavor profile in this simple dish, I went with a combination of sharp cheddar and pepper jack cheese, then garnished with queso fresco, avocado, chopped tomatoes, and some bacon. I mean, I guess bacon isn’t exactly southwestern but whatever. Bacon in all the things. Like Pace® in all the things. It’s just straight up delicious. 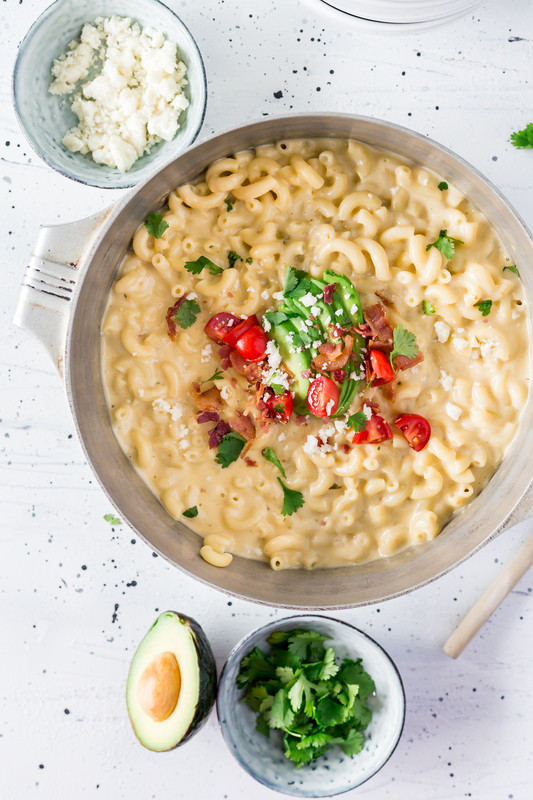 So if you’re looking for a flavor touchdown next gameday, look no further than this Salsa Verde Mac & Cheese. 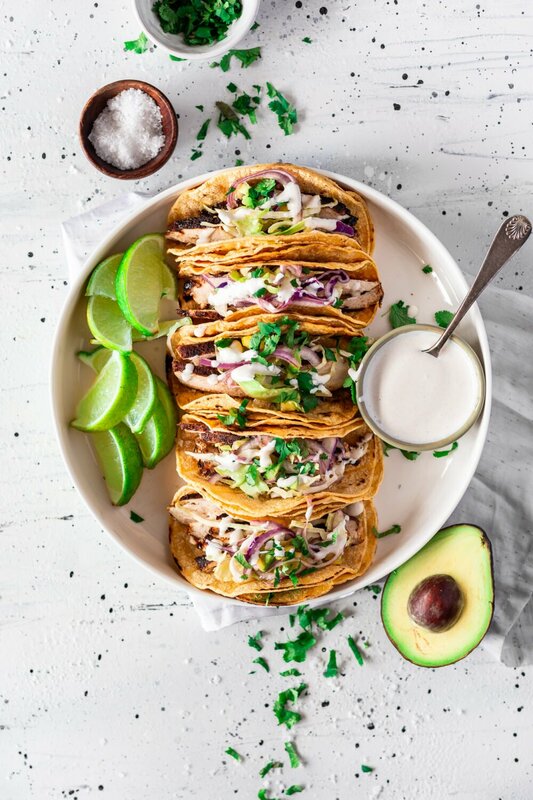 Because who doesn’t love easy recipes for a crowd? Get yo flavor on! How are you going to ban the bland with Pace®? 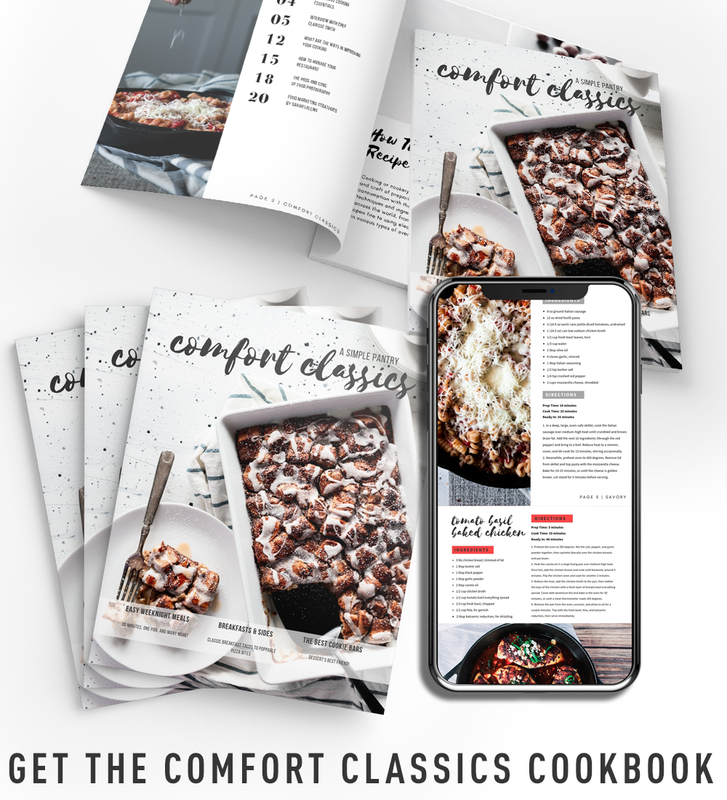 Get recipe inspiration here. Cook pasta in generously salted water until al dente according to package instructions, then drain and return to the pot. While the pasta cooks, in a medium saucepan, melt the butter over medium heat, then whisk in the flour until a smooth paste forms and cook for 2 minutes. Slowly whisk in the milk until the roux is completely incorporated. Bring to a low boil over medium high heat and whisk frequently until thickened, around 10 minutes. 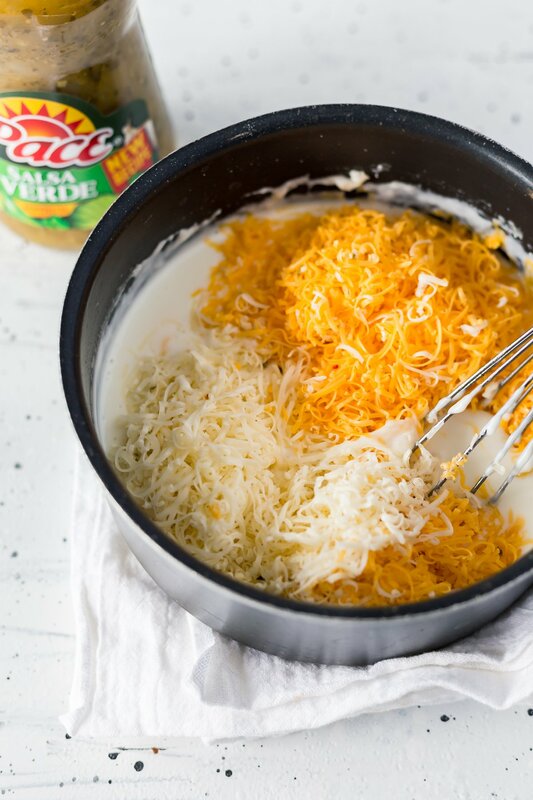 Add the cheeses and whisk until melted, then add the Pace® Salsa Verde and stir. Season with the cumin, cayenne pepper, and salt, stir gently to combine. Pour cheese sauce over the cooked macaroni and toss until evenly coated. 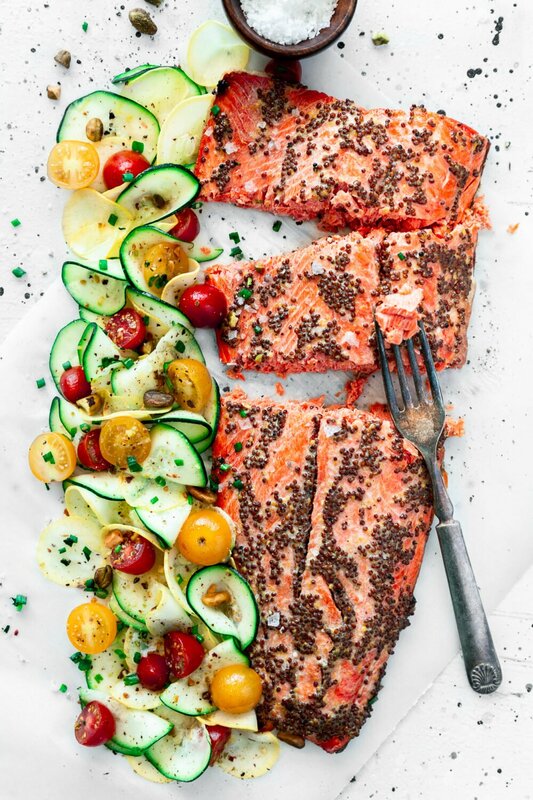 Adjust seasoning if necessary and serve with your favorite garnishes. I bet this is a great addition to mac and cheese! And the flavour sounds delicious! 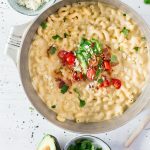 Mac and cheese is one of my all-time favorite dishes and I love all the fun flavors you packed into this salsa verde version! Can't wait to make it! 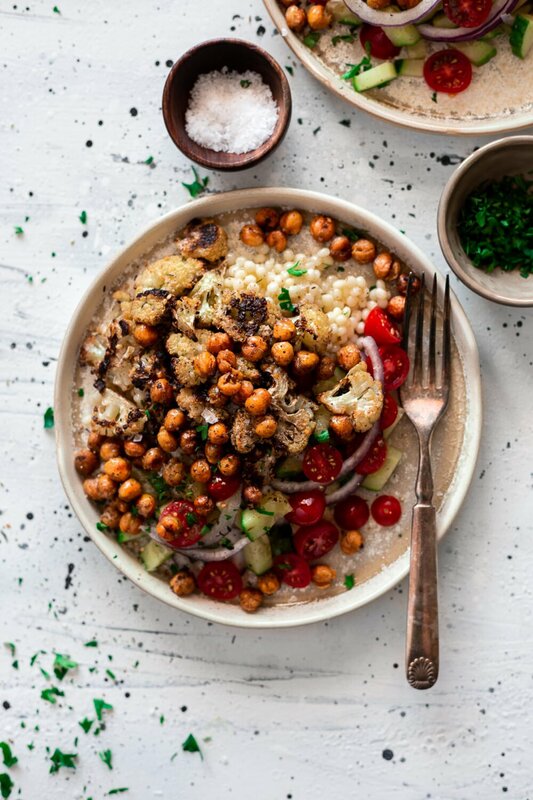 I just found your blog, puhleeeze post more recipes!!! 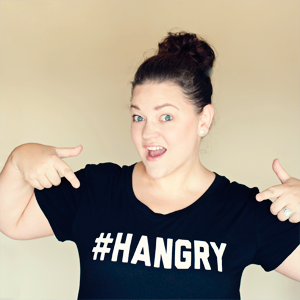 I love your food, photos, and humor, keep it coming! Especially the TexMex food.Much love from Texas! 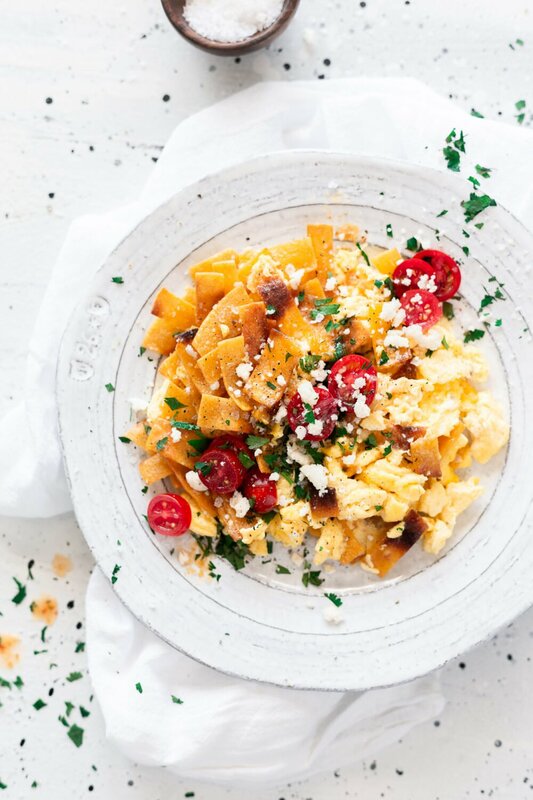 What an interesting twist on a classic dish! I never thought how well those flavors would go together but after you laid it out, that looks awesome. Thanks for the recipe!